Letter of the week activities are a fun way for kids to learn their letters. 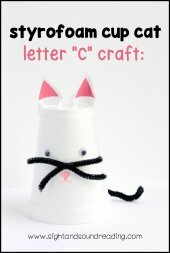 Hands on projects, like the Letter C craft: styrofoam cup cat help solidify letter names and sounds and are fun for kids to make as well. 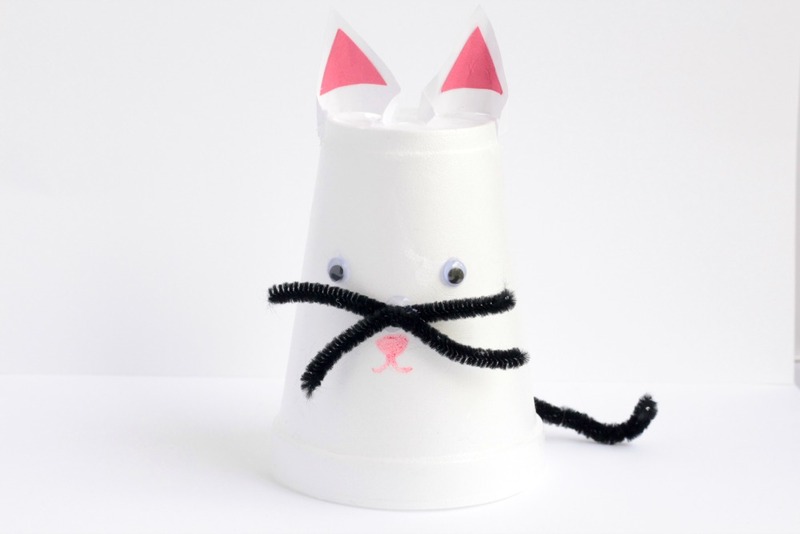 This simple cat craft is made from a Styrofoam cup and is easy for preschool and kindergarten kids to make. Since the cup is open on the bottom, the cat can also be used as a puppet! Kids will love making and playing with this cat craft and they will easily remember the letter C after making this fun activity. Before we begin, I have a great book list for teaching the letter C! Cut out two triangles from white paper to make the cat’s ears. 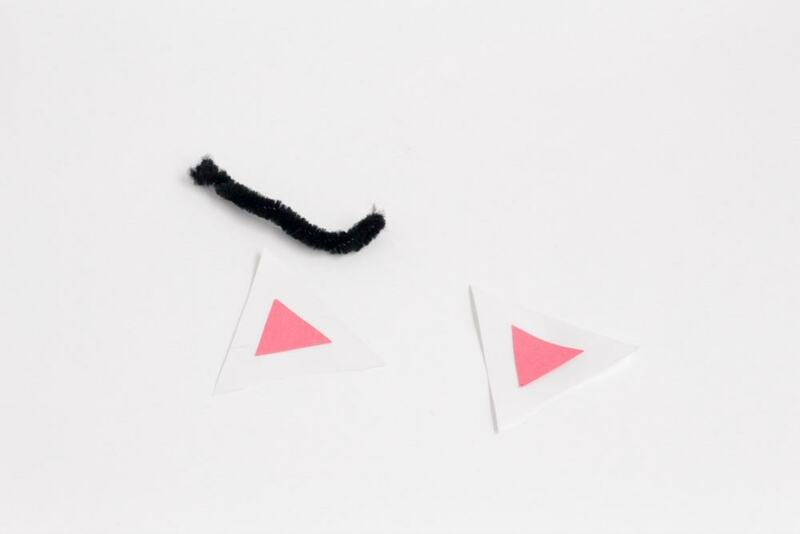 Cut out two smaller pink triangles to go inside the white triangles. Glue the two triangles together. Cut a black pipe cleaner in half. Twist one half into a tail shape. Cut the other half in half again. Twist these pipe cleaners together to make whiskers. Glue the googly eyes to the front of the cup upside down. Draw a cat’s nose and mouth under the eyes with the marker. Glue the whiskers above the nose. Glue the black tail to the back of the cat. 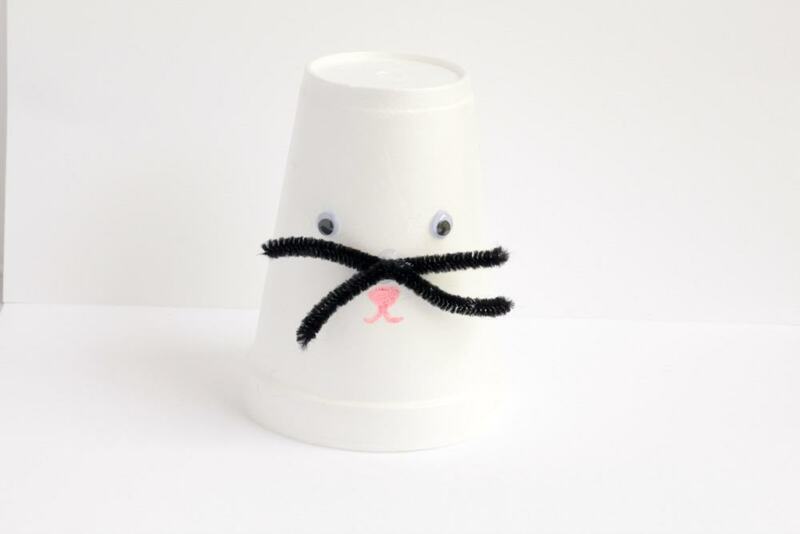 Glue the ears to the top of the styrofoam cup to complete the cat. Let the cat dry before allowing the kids to take them home. 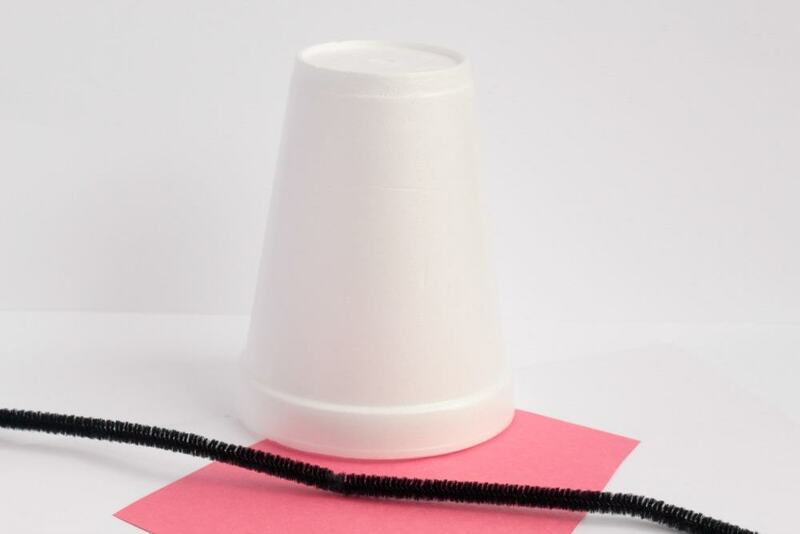 If they like, kids can also color the white cup with markers to give their cats more personality. Show the kids pictures of patterns commonly seen on cats and let them pick which pattern they would like to add to their cups. Free Letter C Worksheet Pack!